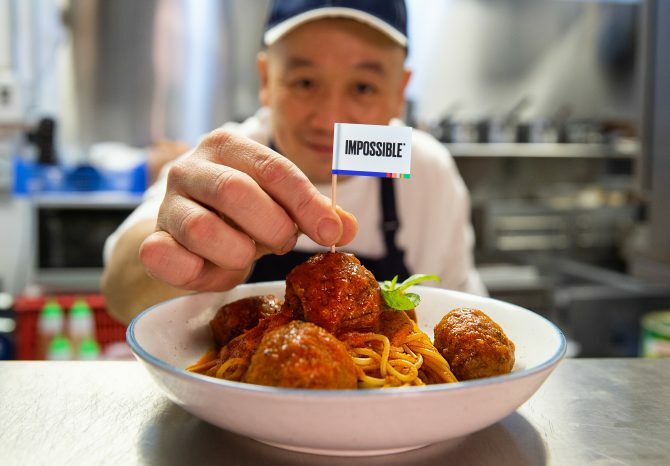 Starting from 7th March, Impossible Foods is launching its plant-based meat, Impossible 2.0, at eight different restaurants across our sunny island. Vegans and vegetarians, rejoice! 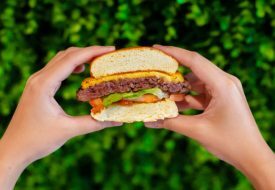 Silicon Valley-based company Impossible Foods, known amongst the vegan community for its plant-based products, is launching in Singapore! 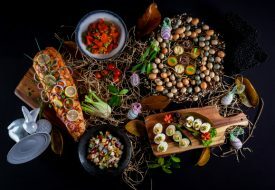 Eight local restaurants will be taking part in its launch: Adrift by David Myers, Bread Street Kitchen by Gordon Ramsay, CUT by Wolfgang Puck, Empress, Park Bench Deli, Potato Head Singapore, Privé Orchard and Three Buns Quayside. 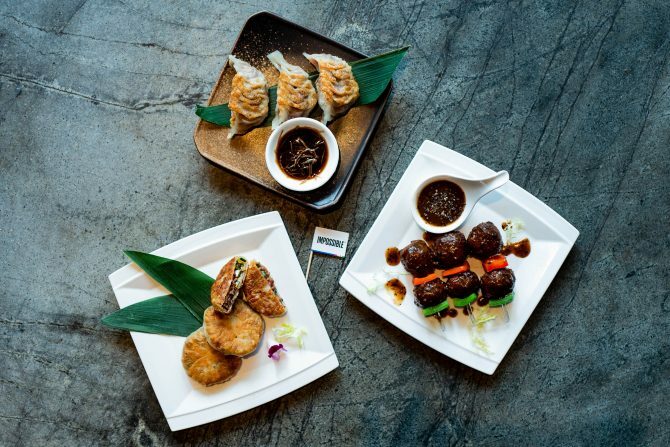 A variety of dishes will be offered, and we had the chance to try a few! 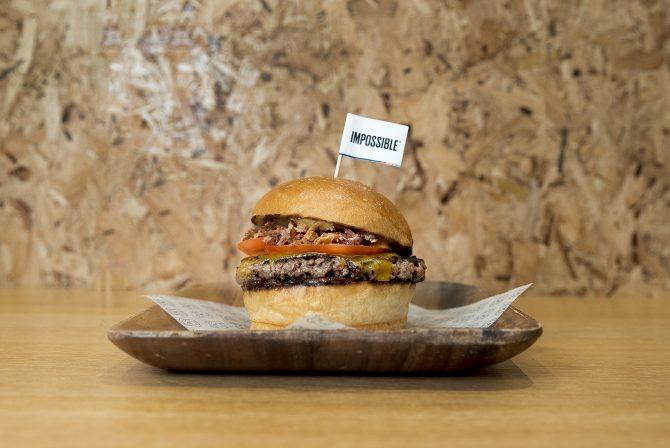 One of the partners collaborating with Impossible Foods is Group Executive Chef Adam Penney, who heads the team at Three Buns Quayside as well as Potato Head Singapore. He’s well-known for his amazing burger skills! Chef Adam demonstrated grilling the Impossible Meat patties, and while the skeptics in us had doubts as the patties sizzled on the grill… We were pretty amazed at how good they tasted! 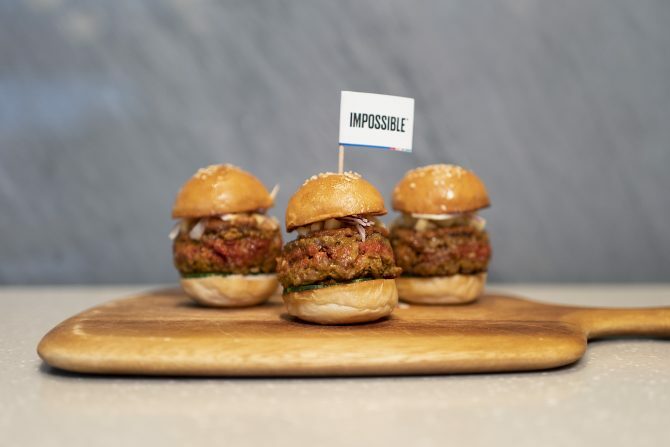 Smokey, savoury and deliciously meaty, if we hadn’t just heard Impossible Foods CEO and founder Pat Brown give an introduction, we probably wouldn’t have known better! Of course, we were also excited to see what Chef Adam would do with Impossible 2.0 – and he definitely didn’t disappoint. The Impossible Dream (S$27) is a hefty burger of toasted demi brioche buns, a thick Impossible Meat patty, heritage tomato and onion marmalade, topped with XO mayo, cheese and ketchup. Dream definitely suits the name for this burger, because we loved how the flavours melded together and complemented each other! The Impossible Chedda (S$23) – demi brioche burger with the Impossible Meat patty, double ketchup, cheese, onion puree and pickles – was good and would make a great meat-free option for cheeseburger lovers! However, we felt that it was plainer in flavour and paled in comparison next to the Impossible Dream. With experience in renowned Michelin-starred restaurants and nominations for the World Gourmet Summit’s Awards of Excellence, Group Executive Chef Robin Ho was also someone whose creations we looked forward to seeing! The Juicy Lucy Impossible Meatball Spaghetti (S$19), with its herb-fragrant tomato ragout and huge meatballs formed from Impossible Meat, is a dish is meant for meat-lovers and vegetarians alike. While we liked the spaghetti, the meatballs had a slightly mushy texture that was a little off-putting, reminding us more of a bolognese sauce. Our favourite was the Impossible Satay Sliders (S$15) – adorably small sliders with Impossible Meat patties, peanut sauce, mango, cucumber and red onions. The peanut sauce went well with the satay spice-seasoned Impossible Meat patties, although they were a tad salty, and we loved the tangy and refreshing contrast of the mango with the smokiness of the meat! While the range of dishes offered by Impossible Foods and its partners seems largely skewed towards Western cuisine for now, not to worry! 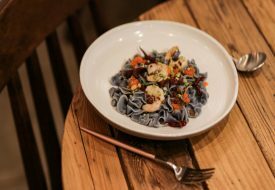 They do have plans to expand into our local food scene in the coming months with more dishes, and are looking towards even having plant-based fish, chicken and steak; so do stay tuned!